TWINKLE (yup, that’s her name) was conceived on April 15, 2017 and launched on July 30. Her home is Rocky Mount, NC. 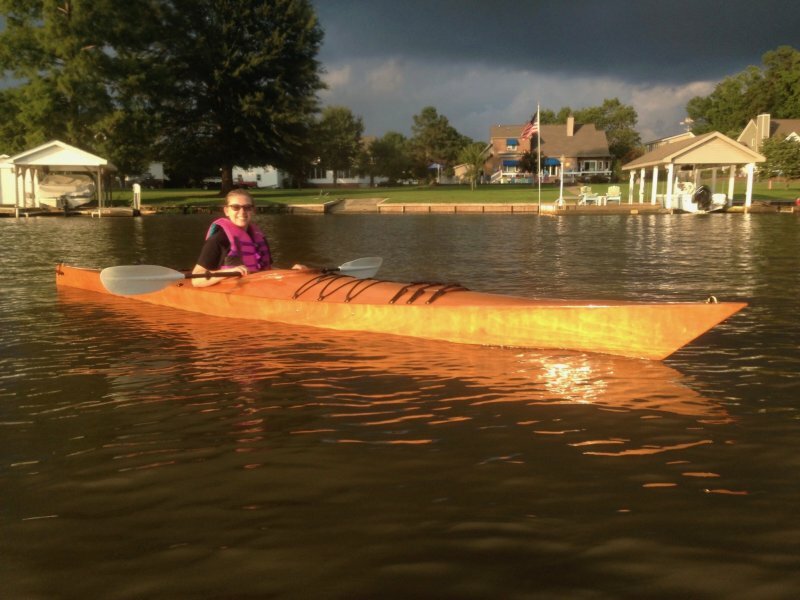 She is a Chesapeake 17 sea kayak from Chesapeake Light Craft. Made of Okoume marine plywood, epoxy, fiberglass, varnish and more than a little blood and sweat. Managed to avoid the tears and the viking funeral!! Woohoo.